As you may have seen in the news, our world of sports is in the midst of a political debate and is no longer sheltered as it was once before. Can we use it as an opportunity to create positive change? I am not here to pretend I know anything about politics. I'm also not writing a political thing here. I do, however know what it feels like when you face discrimination, experience lack of inclusion, and see loss of respect and love. Being disabled means you’re part of an ‘invisible minority.’* Being part of this minority group, which I knew very little about upon entering into it, taught me a few important things about respecting other minority groups and made me the empathetic person I am today. 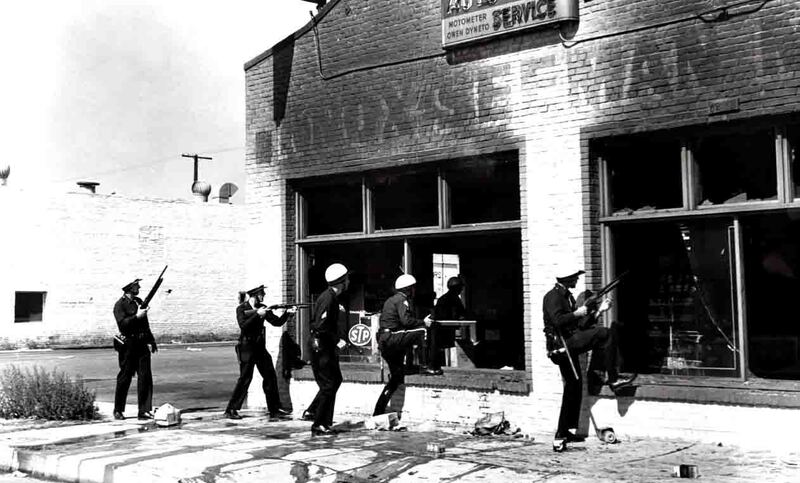 Having grown up in the ultra-white Orange County, California during the Civil Rights Movement and Watts riots, I was a young boy, confused and ill-equipped to make sense of what was going on around me. I saw the brutality of the L.A.P.D. against African-Americans. I heard hateful comments uttered constantly on the streets towards people of color. I can’t even dare to say that I understand what African-Americans went through in those times or today, because I will never understand, because I’m white. I didn’t understand other minority groups as I was growing up as a young athlete in high school aspiring to become a basketball player. This may also be due to some of the comments my father made about race and people of color, which certainly didn’t help. Thank God, my soul refused to take that DNA from him. As a teenager, I only cared about basketball and was enrolled in Mater Dei High School in Santa Ana, CA, well-known for its athletics programs and still is today. We had only 2 African-American students out of 400 at school and none on our basketball team. 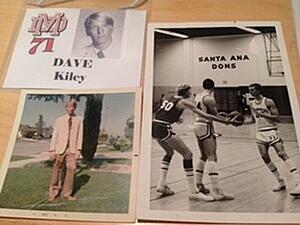 I remember the day when we traveled to South Central L.A. to play against Verbum Dei. I was intimidated by some of their players. Not by the skin color, but by the incredible talent displayed on the court. I had a lot of respect for them and their talent. 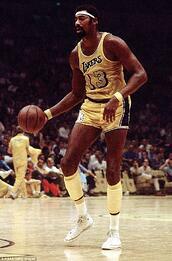 Sport, at an early age had me worshiping African American athletes such as Elgin Baylor, Wilt Chamberlain, and Earl ‘the Pearl’ Monroe, along with so many other players in the NBA. My eyes didn’t see race then or now. My eyes see basketball. I watched God given talent and I admired it. 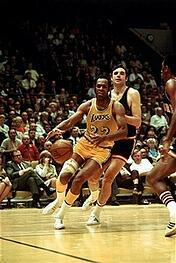 I was inspired by it, just like I was with Jerry West, ‘Pistol’ Pete Maravich, and Rick Barry who were white. My eyes did not and do not discriminate. Even though I never faced discrimination for the color of my skin, I had a different kind of discrimination soon after I became spinal cord injured a year after I finished high school. It was the kind that makes you feel excluded from the society you thought you were a part of. The kind where everyone tries to tell you “you’re different”, or “lesser than.” It soon made other minority groups more relatable and somewhat closer to me. Although the pain was never physical, it was psychologically exhausting. 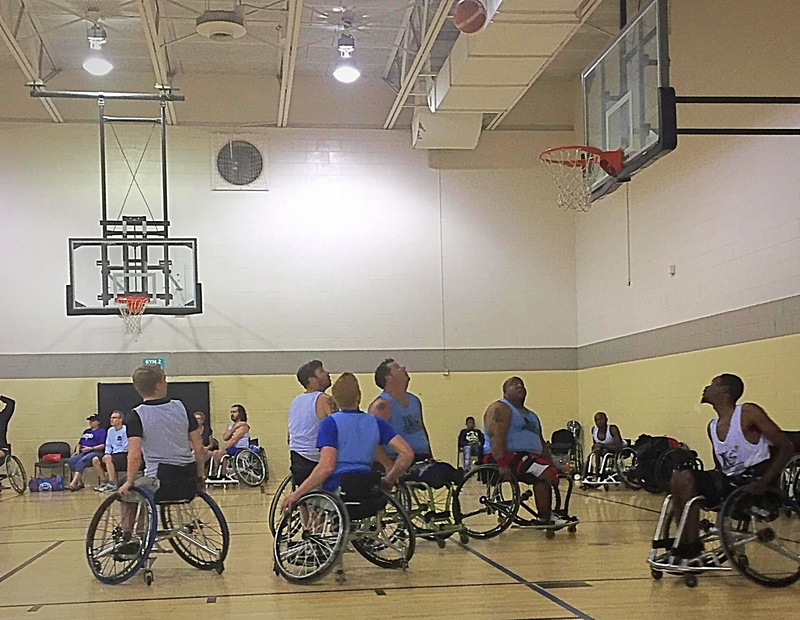 Despite all odds, this new life with spinal cord injury and wheelchair basketball was much more diverse and inclusive with African American, Hispanic, Asian, and players like me. Every game brought diversity up close and side by side. My teammates were brothers, because we battled up close and side by side no matter what color you are. We battled with one color in mind, our ‘Jersey.’ Our team banded together which is what I think we all experience in a team sport or should. 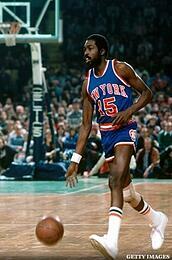 If your jersey was a different color, you were treated differently and the mission was to beat you down. Only though for the color you wore on your uniform. Wheelchair basketball brought me close to real friends and family. My brothers and sisters I played with became family. Sometimes we fought, too, but the difference in our opinions did not affect our team goals. 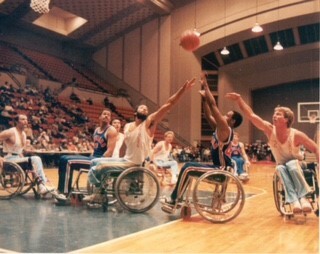 It was always understood on the teams I played on and is why some of those teams made history in NWBA. It was most likely those differences in opinion and our ability to voice our opinion in a respectful manner that made us great or at least, gave us a better chance to win. Basketball and sports not only taught me racial relations, but also human relations. I learned that respect is earned, but disrespect is a dubious luxury of those more capable of handing it. If you are reading this, you are probably a person with a disability or know someone who has one. If you do have a physical disability, I’m sure you can relate to inequality and discrimination we face on a regular basis. Though not as prevalent as it used to be, we all experience lack of inclusion or bias due to our disability at some point in our lives and it’s affecting us, our children, and everyone around us. I have been denied service in public places because I was in a wheelchair. I was denied a coaching job at a local high school because I was in a wheelchair. 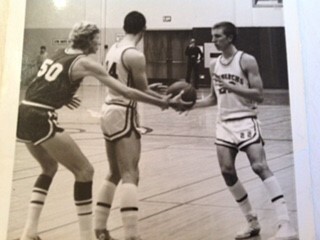 I have played, watched, and coached basketball all my life. Mind you, concepts and knowledge of wheelchair basketball apply everywhere and are more alike than different. 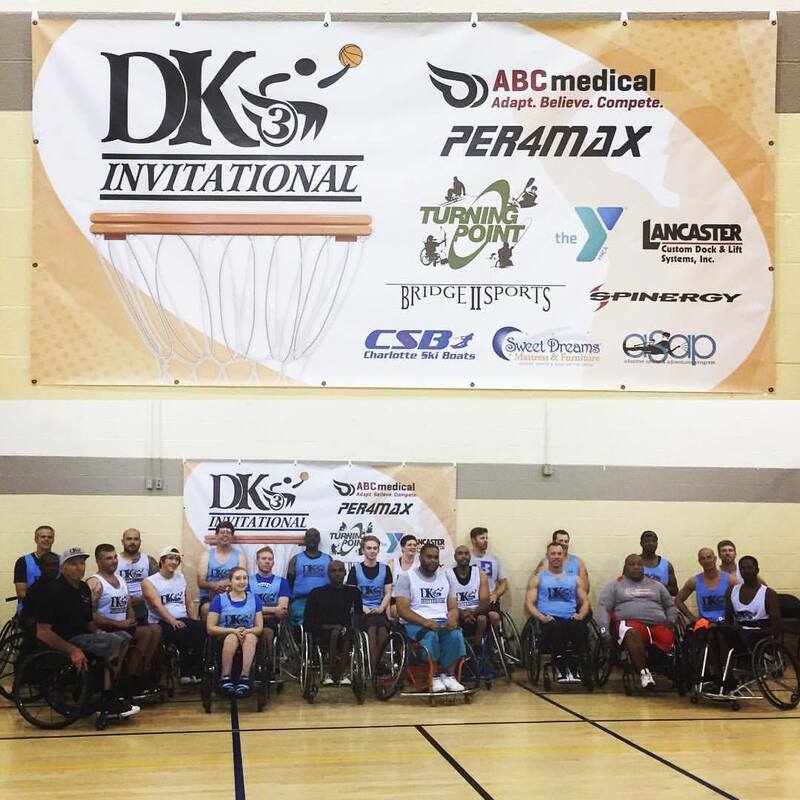 Once the interview began I could see that the Athletic Director was focused on questions of how I was going to be able to teach able-bodied players from a wheelchair and inferred I could not physically demonstrate certain skills. I was not considered for the job from the time I rolled in the door. Let’s be real about discrimination which has a long arm and reach but the ‘invisible minority’ has still little publicity or dialogue. Even in media, rarely do we see examples of discrimination of people with disabilities. We’re a ginormous minority group that has become invisible to other eyes. We matter but yet, we are not equal. I am a proud American with a disability and it’s not for me to sit here and say I am even close to being deprived from opportunity. I have more blessings than one man can carry but I did have to make it happen despite misconception and stereotypes in a lot of cases. We made opportunity happen through access with the Americans Disability Act. 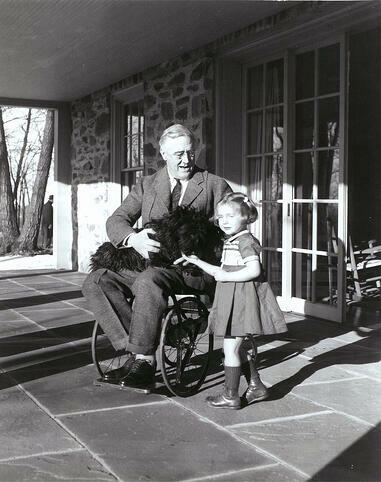 We need to be reminded that President Franklin Roosevelt was disabled. We need to be reminded that one of the smartest or most intelligent human beings in the world is Steven Hawking. 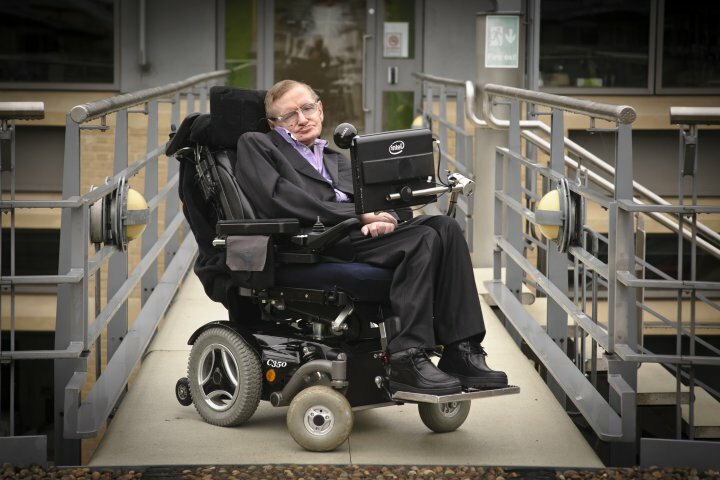 Hawking is disabled with ALS and he made it happen. I will now, at every opportunity where I have a platform be responsible to use my voice. I will encourage others with disabilities to not only use their voices but to put their voice into action. It’s all about action. Disability must become a part of the diversity and inclusion conversation, just like other minority groups have. When it comes to making a difference this is as simple as it gets. You know that our children and adults were made fun of because of a disability and still are. There are jokes, mimics, and stupidity around our difference, and color. We cannot tolerate that. I will not sit in and listen to crap like that and will speak my mind and roll away. I hope you will do the same. I urge you to speak up and raise your voice when it comes to disability rights, your rights or your loved ones’ rights. We need to pay attention to what’s being said and proposed on behalf of us. You can do that. We can do that! OK my heart has been racing while writing this blog. I have for a long time been waiting to write this, spurred by racial tension and riots happening so close to where I live in Charlotte and in Charlottesville. I wanted to do something and not turn a blind eye. Let me be clear my desire to write was not just because of racial tension, but also the experience I have being disabled. I have been on the front line of people with disabilities and their families and witnessed their trials and challenges. It was not so long ago that high school athletes with a disability and their families had to fight and litigate to be included on high school track teams just to earn a letter like their able-bodied counterparts. 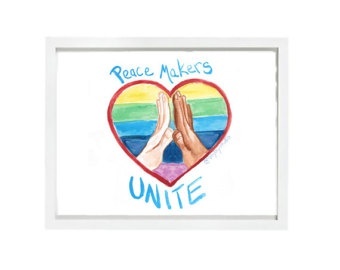 One organization that works hard for disability rights and strives to educate people on issues that matter to us is ADAPT, a national grass-roots community that organizes disability rights activitsts to enggae in non-violent direct action. Click here to check out their website and find out how you can be involved. I do have a platform and when I’m in front of people whom I can influence I will say ‘Your Voice MATTERS’ with action. Acts of good and love is where I will sit in action!